Many things must be going on atmospherically that we are not even aware of. For example, the biorhythms of the Earth must be tilting in the favor of every single one of G.O’s fans across the globe for I was certain he would pause updating his SNS after the generous offerings he shared in the month of February. But G.O is making it easy for us to keep expectations high. He continued to add to his Boyfriend Pic Selca Series library into March. OMG! I am not complaining, mind you. I’m not going to lie. It will be very easy to become accustomed to these surprise selca attacks. 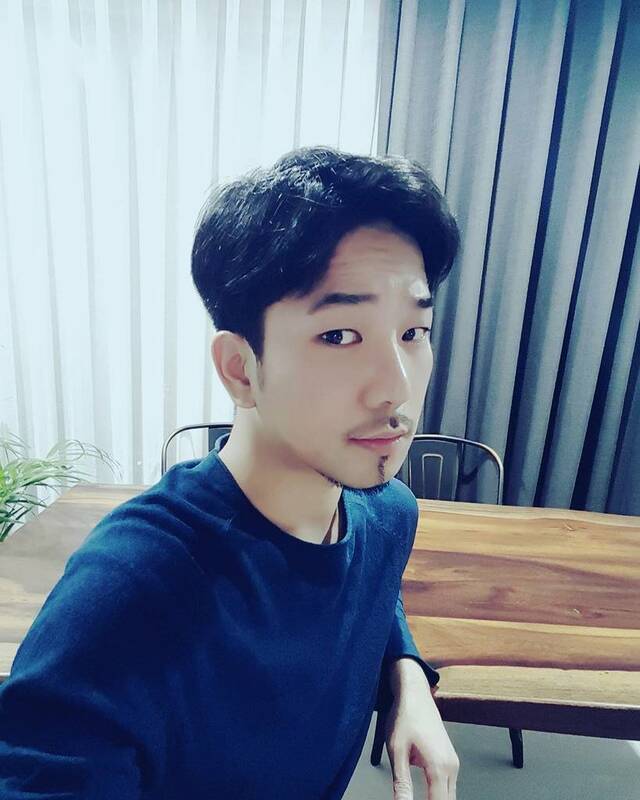 His generosity poured over into March when on the 10th, G.O updated his Instagram account once again with yet another selca. Oh my . . . I am so used to seeing G.O wearing black but admit that this particular shade of blue is very becoming on him. Then again, there most likely is no color on the spectrum that would refuse to look good on him. His complexion favors every shade of every color and the deep dark black of his hair is equally complementary. Then of course, there are his eyes. Yes, yes, YES I KNOW! I have been ranting about his eyes quite a bit as of late. I cannot help it. I have always favored brown eyes on men. Always. G.O’s brown is different though. His eyes are such a rich dark brown. So deep. So warm. So inviting. So sweet. And they speak a language of their own. In this selca for example, it is almost as if he wants to ask something, but his eyes hesitate. 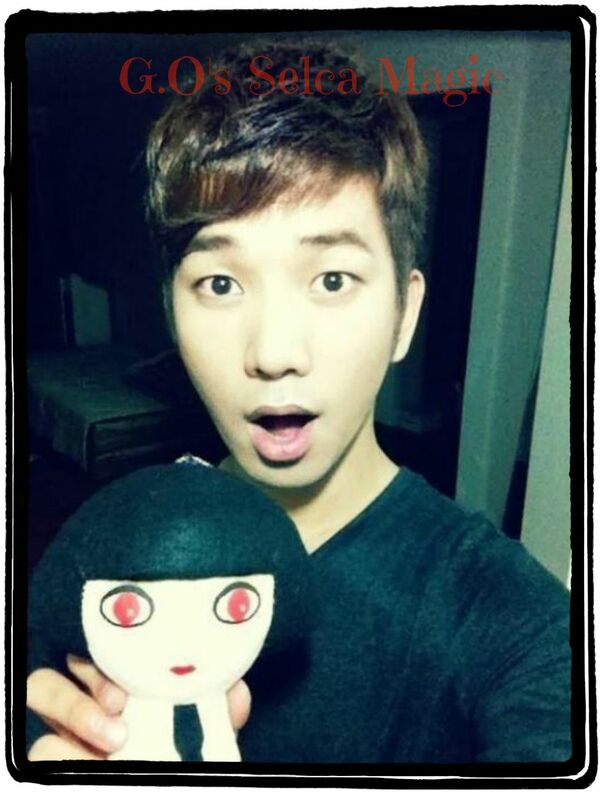 You know what is so completely endearing about G.O? We know him to be talkative and engaging with a quick wit and sharp intelligence always ready for a verbal challenge and always ready to speak his truth. Yet sometimes he displays an irresistible shyness that makes him even more attractive and charming. Categories: G.O Military Discharge, MBLAQ Musings, The G.O Files | Tags: Boyfriend Picture, Boyfriend Series Selcas, G.O, G.O Boyfriend Pic, G.O images, G.O Selca, G.O's Military Service, G.O's Selca Magic, Jung Byung Hee, Jung Byung Hee images, MBLAQ G.O, MBLAQ G.O Boyfriend Pic, MBLAQ G.O images, MBLAQ G.O selca | Permalink.